Why an American family, despite paying the ultimate price, continues to engage in a conflict that isn’t their own. The terrorist attack punctuated a spring day in Haifa, Israel, when a Palestinian suicide bomber blew himself up on a city bus full of children heading home after school. As usually happens in Israel after a terror attack, phones began buzzing with friends and family calling to check on the well-being of their loved ones. Israel was in the throes of the second Palestinian uprising from 2001 to 2004. Residents lived daily with the threat of bombings and shootings in any metropolitan area. Tensions were palpable, security guards were hired at all public establishments—from post offices to supermarkets, and tourism was down drastically. Philip and Heidi Litle were home sifting through photos of their children dressed for Purim, the biblical commemoration of the miraculous deliverance of the Jewish people recorded in the book of Esther, when the calls started coming in to their home. The Litles did a mental review of the whereabouts of their five children. They all should have been accounted for, not on the bus in question, according to initial news reports—which were rushed and inaccurate with a bevy of misinformation stemming from confusion at the scene. The Litles’ pastor, who had arrived at the hospital before them, identified Abigail and told the family. The family’s grieving and healing process included entrenching themselves in the land they call home. The family applied for residency—a right due them as victims of terrorism; Heidi trained to be a medic and volunteered with the Israeli equivalent of the Red Cross; their children all have joined the army. Josiah, the oldest, joined a combat unit. Hannah serves in Israel’s navy. Elishua took up fencing and duels with an Israeli national team. He and Noah, the youngest, will be drafted in the next few years. After losing one child to a war not their own, it wasn’t easy for the Litles to watch their children volunteer for the army—mandatory for citizens, but not incumbent upon residents. Despite that, Philip believes it is part of the family’s responsibility of living in Israel. They admit to enduring unnerving moments as their children have served, especially when Josiah was frequently deployed in dangerous territories. The Litles’ extended family is supportive of their decision to live in what sometimes looks like a war zone. Living in the Jewish state, the Litles immersed themselves in the culture when they arrived for Philip’s studies in 1989. He received an MBA from Technion University. Their five children, three of whom were born in Israel, went to Israeli schools. All speak fluent Hebrew. Within their first few years in the Holy Land, Philip was offered a position as head of the Baptist convention in Israel. He is currently the national director of Or B’Aretz (Light of the Land), an organization affiliated with Campus Crusade for Christ, and involved in discipleship and leadership development of the local body of believers. Heidi works with their local Messianic congregation Beit Eliyahu. Philip is originally from Missouri and Heidi from New Jersey. The city of Haifa, where the Litles settled, is built on the coastal hill of Mount Carmel, where Elijah challenged and defeated the prophets of Baal by proving that the God of Israel is more powerful. The city, flanked by the Mediterranean Sea, is known for its integrated population of Jews and Arabs and a higher level of tolerance than most Israeli cities. Many Messianic congregations have flourished in the city and its suburbs. The Litles moved to Haifa during the first intifada, or “uprising,” which began in 1987 and lasted until 1993, and was a time marked by fire-bomb attacks, rifle assaults and bombings. Family members were no strangers to the hazards of living in Israel. Three years after the suicide bombing that stole Abigail from them, the family endured, along with the rest of residents in northern Israel, a monthlong bombing campaign by Hezbollah terrorists in Lebanon. Many people lived in shelters during the daytime attacks, but Heidi volunteered as a medic. The issue with terrorism is to find a balance between being “sensibly cautious to secure yourself from the randomness, but on the other hand not to let fear control your life,” Philip explains. He says that struggles such as theirs aren’t limited to Israel. Radical Islam, he notes, is an ideology focused on whose God is more powerful, and that plays out in the rest of the world as well. It’s not that Israel is perfect either, Philip notes. It is a secular nation with much unrighteousness. But it is at the heart of God’s purposes. Several days later, about 1,500 people turned up for Abigail’s funeral. Messianic believers and nonbelievers, neighbors, schoolmates, the mayor of Haifa and the American ambassador to Israel gathered at the Messianic cemetery in Haifa. An overcast sky turned to sunny skies over Abigail’s casket, which was draped symbolically with both the American and the Israeli flags. Israeli Parliament Member Yuval Steinitz acknowledged the family’s sacrifice and how they had linked their fate with Israel’s. He welcomed them, and Messianic believers, as partners in Israel’s cause, a rare recognition by a public figure. Many were touched by Abigail’s life and witness. Her parents describe her as a girl who was wise beyond her years, sensitive and a student who befriended those at school who were excluded. Since then the family has grieved, each in their own way as father, mother, brothers and sister. Philip says the children tended to hide their emotions from them as the parents took their turns grieving and dealing with the pain. It has been a time of growing, trusting God and changing. Heidi says she has gotten to the heart of God better through the pain of losing her daughter. She writes that “our hearts’ scream mirrors His, because it’s His image implanted on us that reacts and emphatically knows: This is just not the way it’s supposed to be! Nicole Schiavi is a freelance journalist based in Israel. David and Leah Ortiz followed the call of God and immigrated to Israel from the U.S. in 1985 with their three young children. They lead a congregation in Ariel in central Israel where they live, and the family has walked out an immense calling in Israel, boldly taking the gospel to Jews and Palestinians. But it hasn’t been without backlash. Charisma interviewed David and Leah Ortiz about what happened on the day their son almost died and how God has used their near-tragedy for His glory. Charisma: You were very open about your faith in Ariel from the moment you moved there, but you were warned by believers and nonbelievers alike to keep your faith to yourself. What did you do? David Ortiz: I said, “If the Jews don’t want me, I’ll go to the Gentiles.” I went to an Arab village with an Israeli friend. They beat us up, but we went back. Some of them became believers, but I didn’t know what to do with them. I wasn’t expecting them to multiply so quickly. When I started reaching out to the Palestinians, the people in Ariel got jealous. Then everything opened up with the Palestinians witnessing to the Jewish people and giving out Bibles in Hebrew. 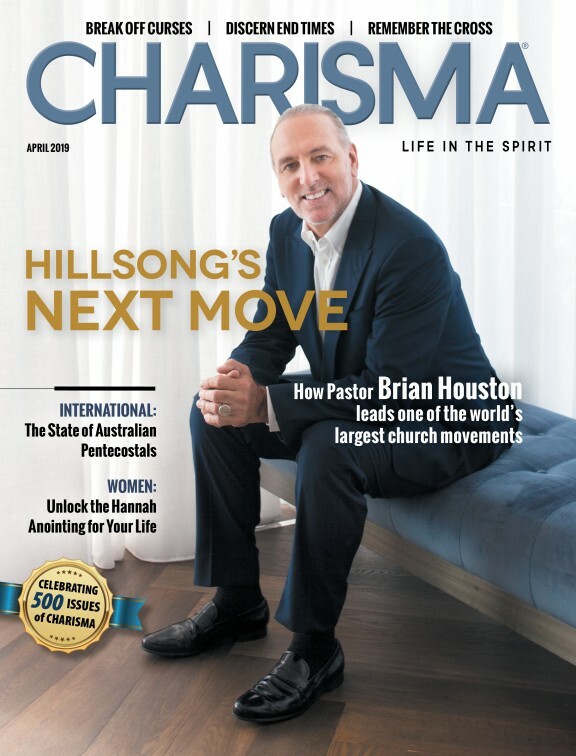 Charisma: You were already no stranger to persecution. What sort of threats had you encountered on both the Israeli and Palestinian side? Charisma: The opposition culminated in the events of March 20, 2008. What happened then? David Ortiz: My wife and I were in Jerusalem. I got a call from my son in the army telling me there was a bomb in Ariel. Then he called back to say it was on our street. My wife called Ami [Amiel]; he didn’t respond. She called our housekeeper, but the police answered the phone and said to go straight to the hospital. The secret police were waiting for us. They told us a bomb was planted in our house by radical Jews. David Ortiz: The Lord showed me very quickly after that they wanted to kill us, damage us, erase us, but instead they critically wounded a 15-year-old boy who caught the heart of a nation and the world. When the doctor told us Ami might not make it, the truth is I didn’t receive that. All of a sudden I had an injection of faith that he was going to make it. Charisma: How has your testimony changed since the bombing became national news? David Ortiz: In the book of Jeremiah it says, “You will no longer go to them, but they will come over to you.” People come over to me now. People in Ariel that were avoiding me come up to me. In a horrible thing, God has glorified Himself. The biggest testimony to Israel is that we have forgiven. We’ve been able to speak on national television that we are Messianic believers. People now know Messianic believers exist in this country and that we are a movement. Israelis are very curious about the faith. [The bombing] is nothing you’d ever choose to have happen, but our prayer since we came here is that name of Yeshua would be lifted up in this nation.